I’ve been through a lot of Cinco de Mayos, good and bad (the worst probably includes throwing up and passing out on my aunt and uncle’s bathroom floor after far too many homemade margaritas, we’ve all been there), however, I always try to treat this holiday with the reverence it deserves. Basically, waiting hours in line for margs, chips & salsa and some sort of pork burrito. 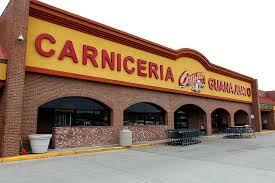 If you are looking to spice up your Cinco de Mayo this year, I highly suggest making the trek out by Lafayette Square Mall to the restaurante in Carnicieria Guanajuato. While all beer is not created equal at the very least it starts with simple and common ingredients. Simple enough that it’s possible for you to recreate your microbrewery favorites in your own home. For today’s column, I visited Indy’s one-stop shop for all things beer and homebrewing, Great Fermentations.